Throwing an Oscars party this year? 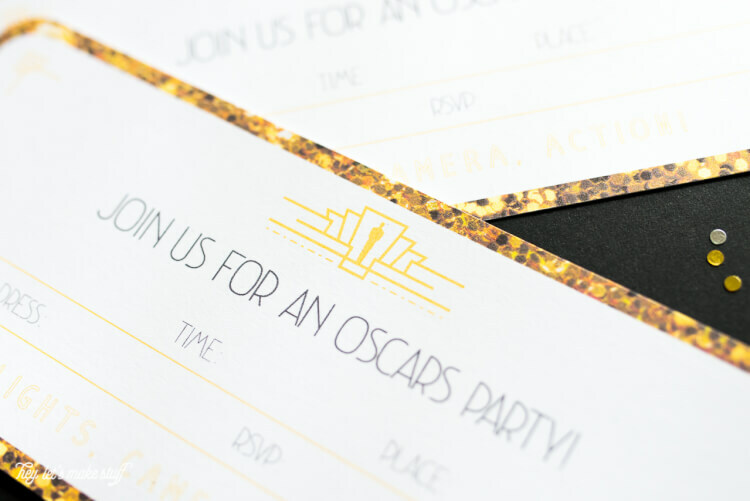 These printable Oscar party invitations are the perfect way to invite your friends to walk your own red carpet! Lots of other Oscars ideas in this post as well. Awards season is upon us! 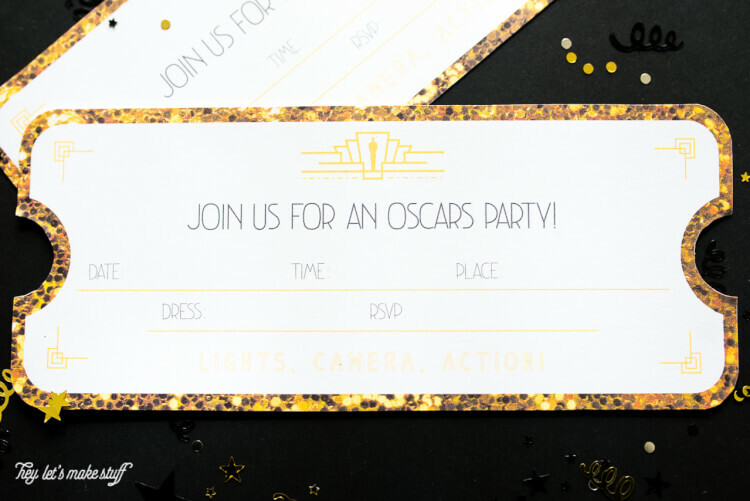 If you’re planning an Oscars party for you and your friends this year, invite them with these snazzy printable invitations. The invitations have everything you need—date, time, place, and RSVP— as well as a section to tell your guests what you’d like them to wear. Sparkles, of course! Print them on a high-quality cardstock, and then cut them out. I designed the circle cut outs on each side to be cut with a 1″ punch, but you can just cut with scissors if you’d prefer. Now that you have your invites, you’ll need to plan the rest of your Oscars party! I’ve teamed up with some blogging friends to bring you all sorts of Academy Awards projects and recipes. Check them out! Printable Oscar Party Bingo Game from Play. Party. Plan. Sun Dried Tomato, Pesto & Garlic Bites from Home.Made.Interest. I am having a red carpet birthday party and would like to make the invitations. But I need help.